When it comes to buying stuff for a baby, there are endless temptations to buy things you don't really need. 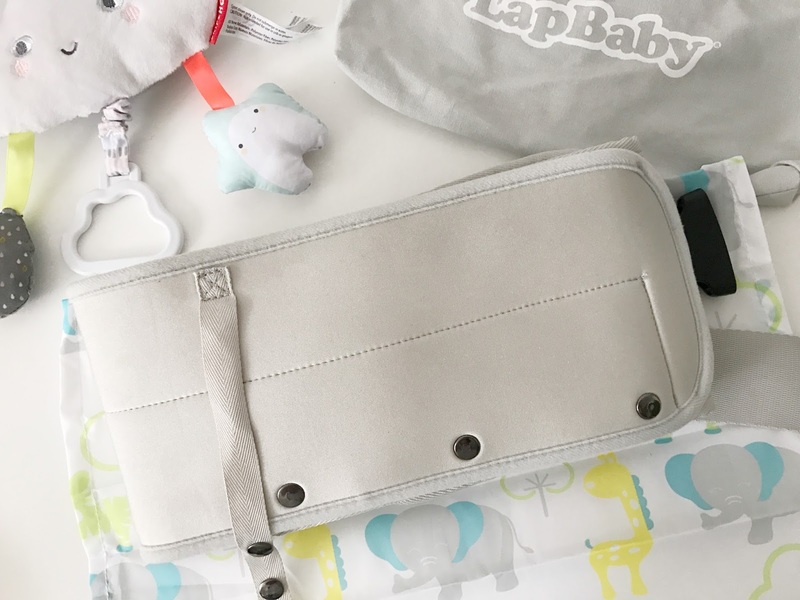 I tried hard to stick to buying basics only when Isaac was a newborn and didn't spend much on clothes either as I knew I would be getting plenty as presents. In fact, we got given so many clothes that we have more than enough to see him through until he is 2! 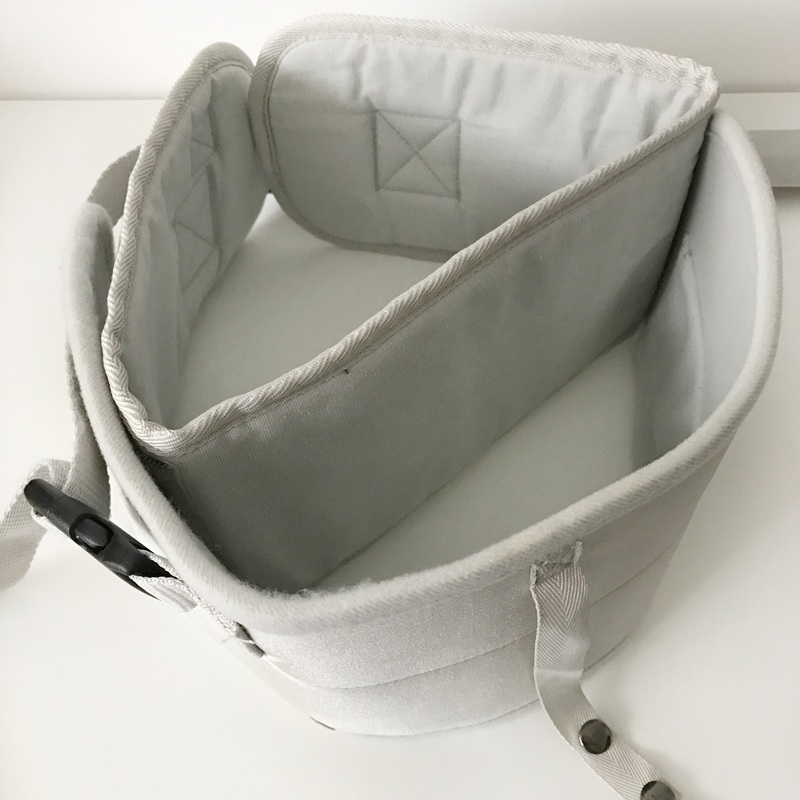 The past 6 months have been trial and error of finding great baby products which I've shared in my Top 10 Newborn Must Haves and in addition, the LapBaby* is a firm favourite. It ended up being such a saviour on my recent trip to Hong Kong and I can't praise it enough. Gone are the days when you have put one arm around your baby as they sit on your lap and struggle with using the only free hand. LapBaby is totally genius. 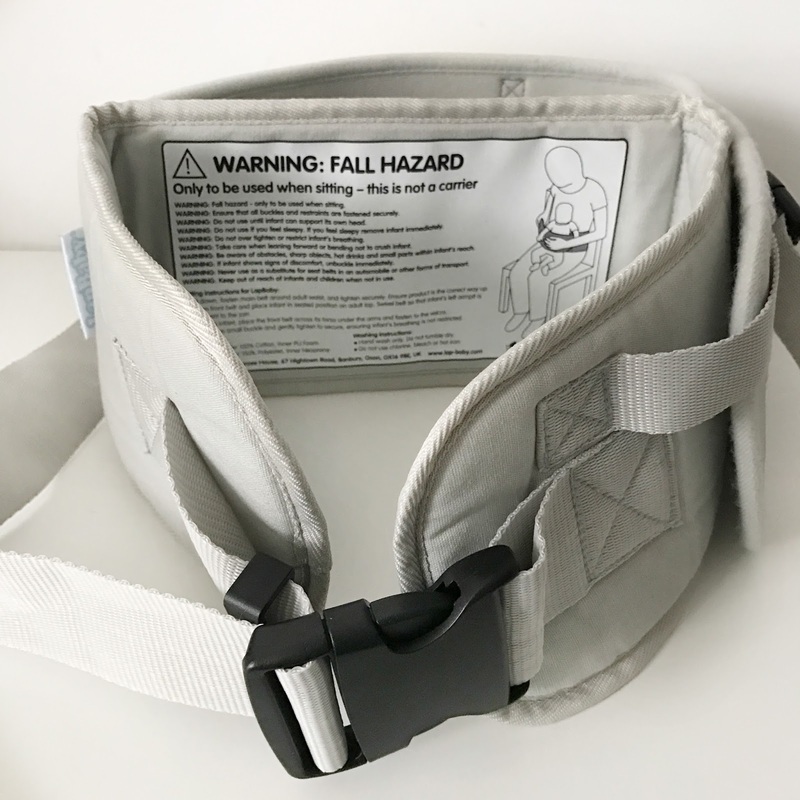 It's a piece of fabric that securely fastens around your waist and baby's waist whilst sitting down and lets the person holding the baby become handsfree! 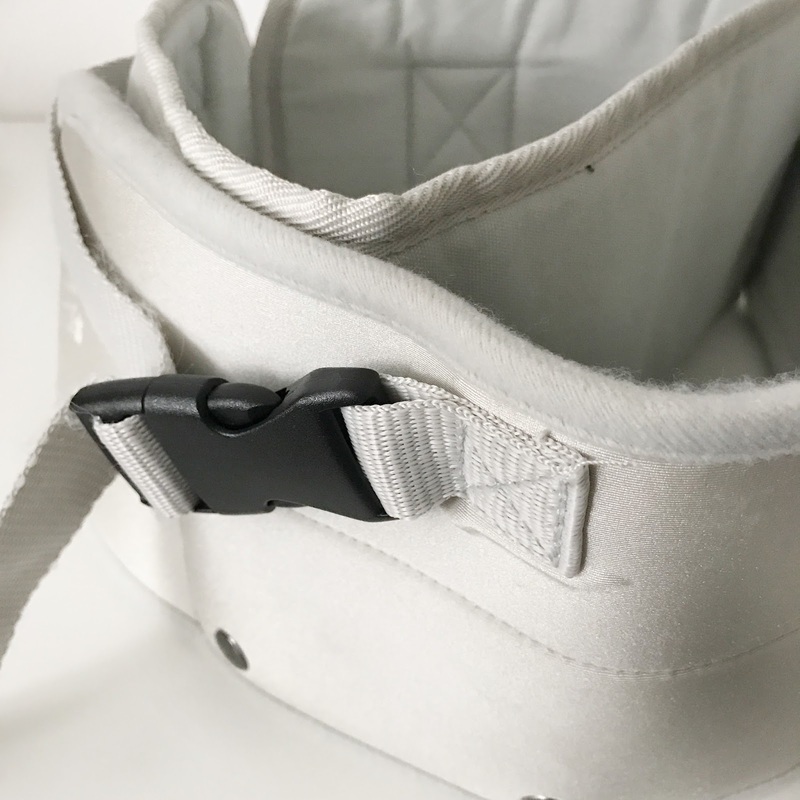 It was invented by a mum, so there are some really useful details such as a material clip to attach a toy or soother, and a detachable wipe clean lap cover for when baby starts to wean. 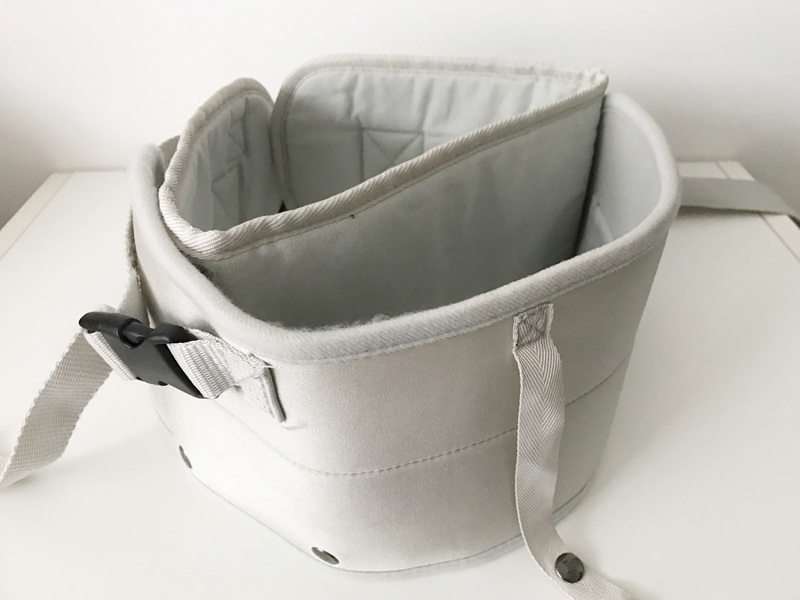 It's suitable from 3 months onwards and comes with a little bag perfect for storage and travel. For £24.99, it's an incredibly fair price to pay for something that can give you so much freedom. Flying. 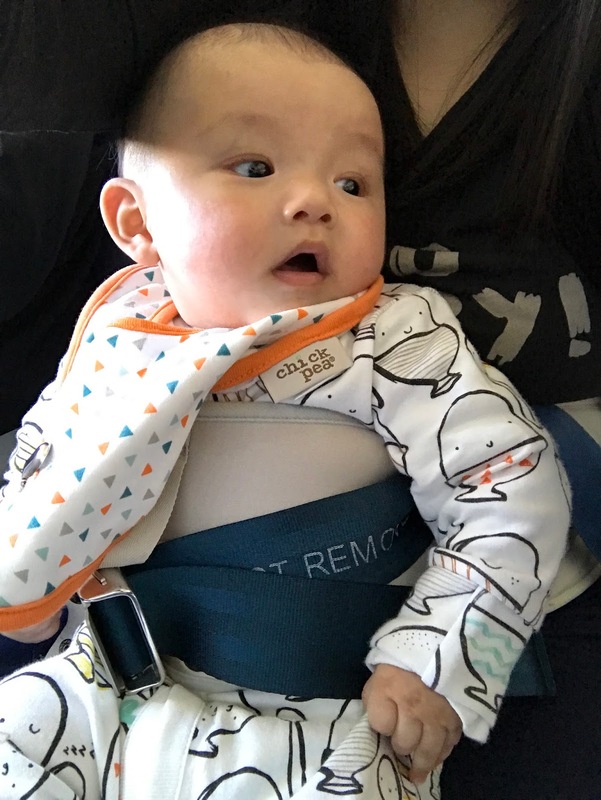 I took it onboard the 13 hr flight with me to Hong Kong, and it proved to be great for take off and landing when the bassinet has to be stowed away. Holding a baby on your lap is very tiresome, and especially so when you're tired yourself and in danger of nodding off. When he wasn't sleeping, he'd be happily sitting on my lap and looking around, whilst I'm playing on my phone with one hand, and holding onto his little hand with the other. Public Transport. Throughout the holiday, I used my LapBaby the most during taxi rides where baby car seats are not required. Some of the journeys were nearly an hour long, so it definitely saved my arms. Meal times. I also used it during meal times both at home and eating out. Isaac didn't always like to just sit in the pram and usually wanted to join in at the table if he wasn't asleep. I am so happy to be able to use a knife and fork and eat my food properly. Things like Sunday Roasts were super hard to eat before I used LapBaby, and either G or myself had to eat first then take him or I needed G to help me cut my food into smaller pieces so I could just use the fork. Putting On Your Makeup. 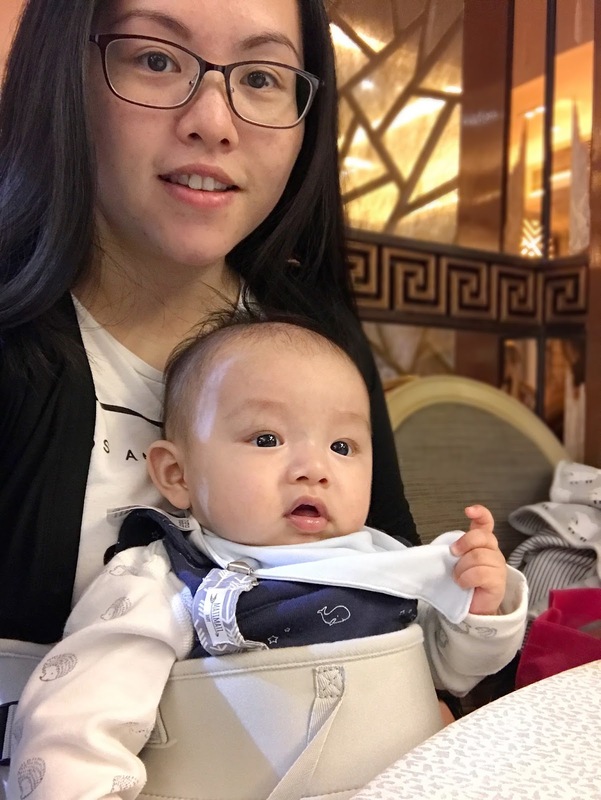 I lent the LapBaby to my friend Kelly for her long haul holiday to Malaysia and she sent me this glamorous photo of her and her adorable bubba! Working. I'm not too keen on Isaac sitting with me whilst I work on the computer (bad for his eyes), but for a few minutes in between naptime and being super fussy, it was absolutely fine. Watching TV. Again, too much screen time is not good, but we are not super strict and I love sitting with him on the sofa without actually needing to hold him. Reading. Whether I'm reading to Isaac or reading my own stuff, I can hold the book in one hand and turn pages with the other without the risk of him doing a face plant since he can't quite sit upright unaided. Playing. My sister bought this great little book that comes with a keyboard for playing songs, so whilst I have him strapped securely to me, I can play on the mini keyboard with ease. I love the LapBaby! Isaac was 4 months old when I started using it and it felt just about right. He couldn't support himself whilst in sitting position and was too young to use a high chair during meal times. I think somewhere between 3-7 months is when LapBaby is the most useful. Isaac has fussy moments when he will not sit in the bouncer or lay on the playmat alone and just wants to be held. 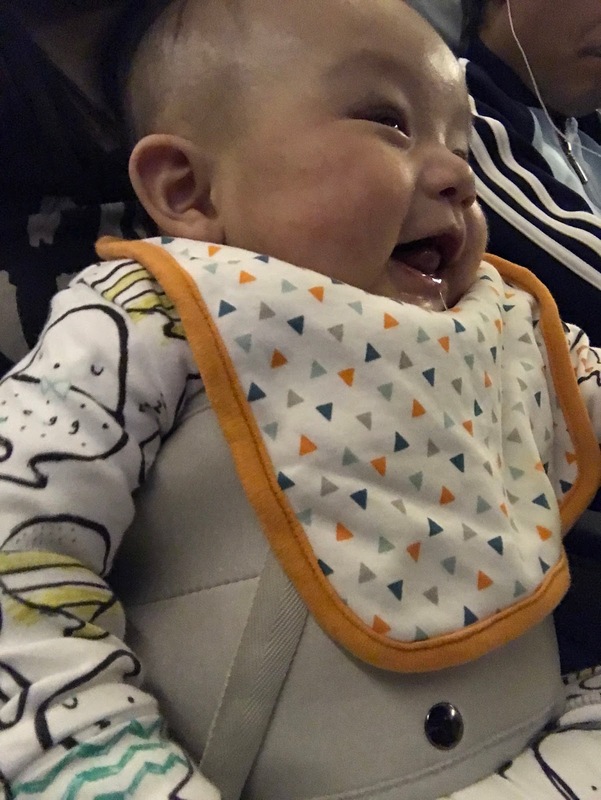 Now that he has started weaning and quite happy to sit in his high chair, we don't need it during meal times but I am likely to continue using it for the above purposes. I do think the LapBaby could be even better though, with an added strap in between his legs that attaches onto baby's waist strap. This would make it even more secure since Isaac would sometimes slip down if he was wriggling around. Perhaps this could be an added feature for the near future. 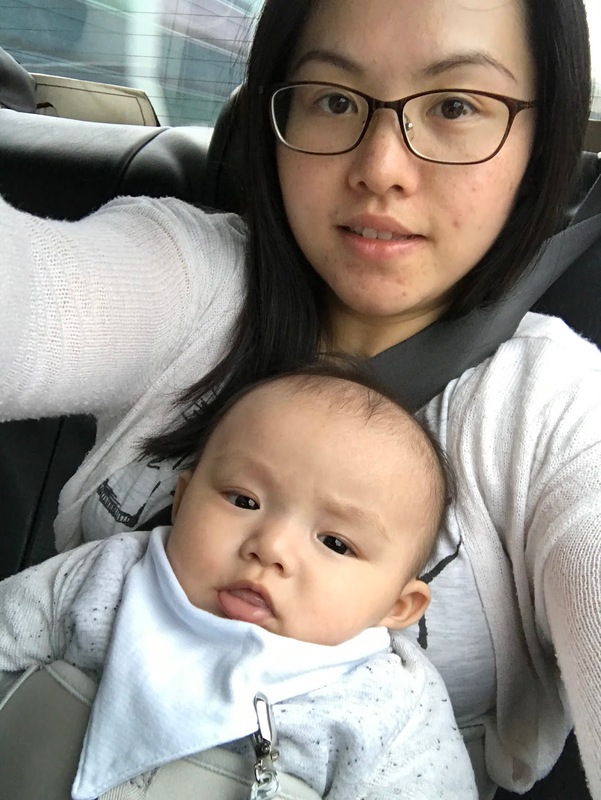 We are going to be back in Hong Kong again this April when he will be 10 months old and I am most certainly going to be using it for the flight and taxi journeys. 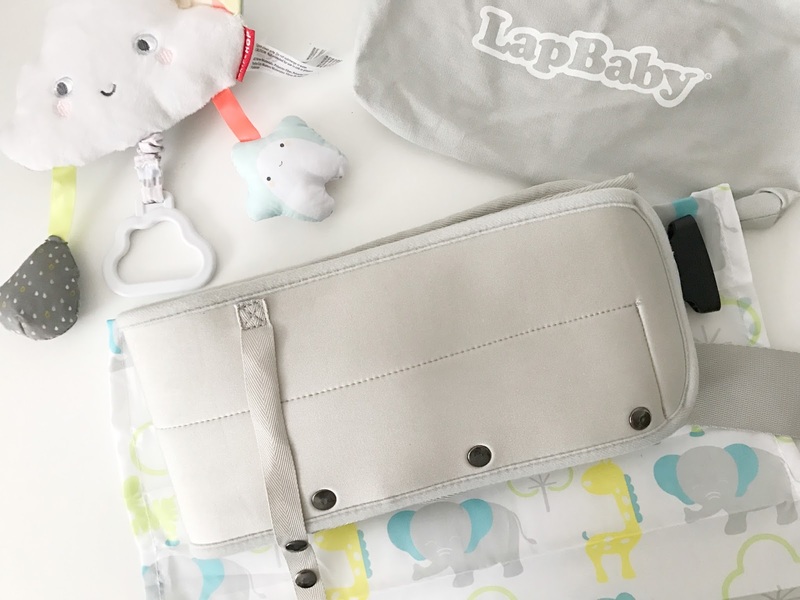 Thanks for inventing such a great product LapBaby! *Item sent to me for review. All opinions are my own and unbiased.